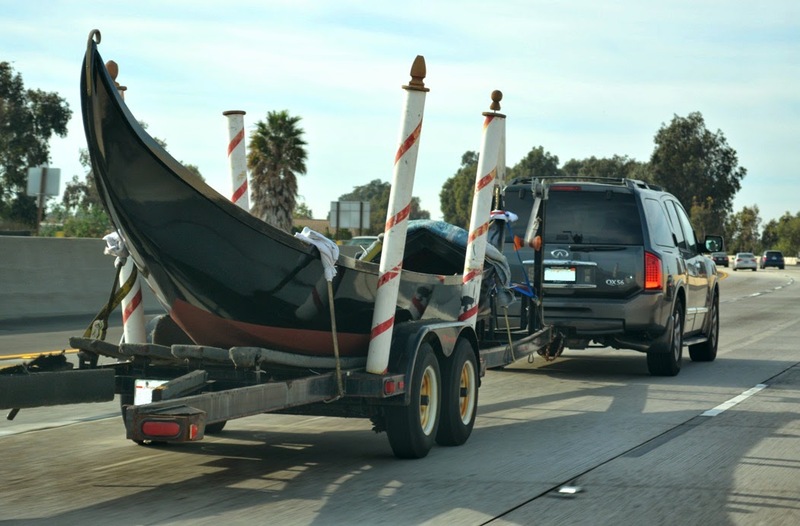 for the boat that would travel on that trailer. 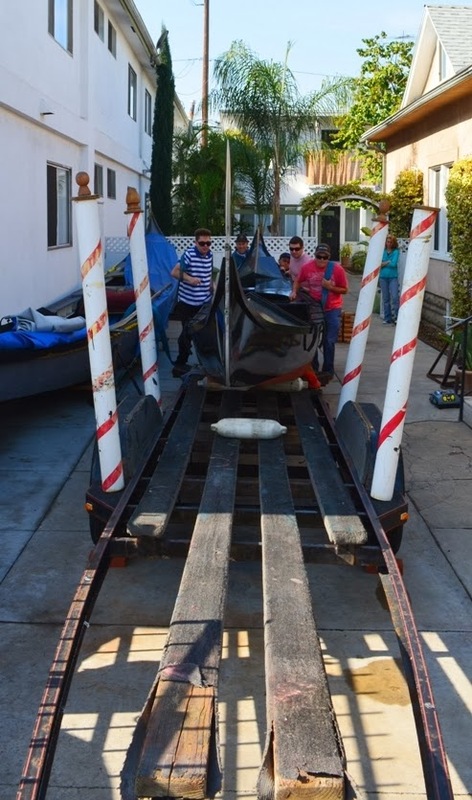 The gondola, known as "Teresa", holds a very special place in US gondola history - another story for another time. 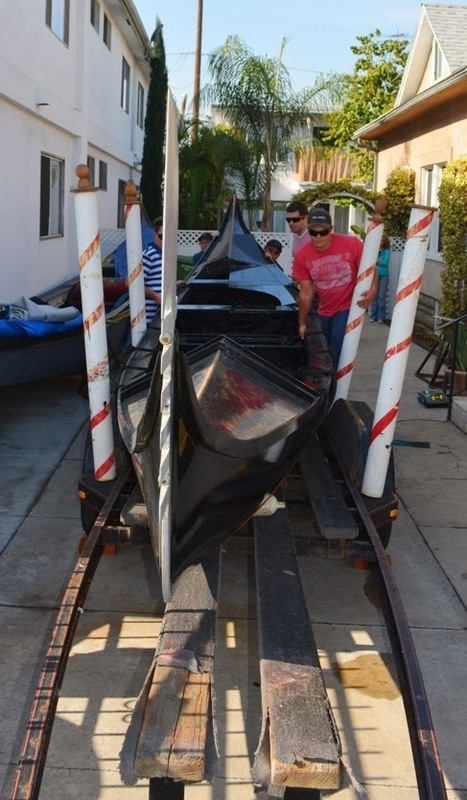 Since our first conversation about the trailer we've talked a few times about the challenges and blessings of running your own gondola business. 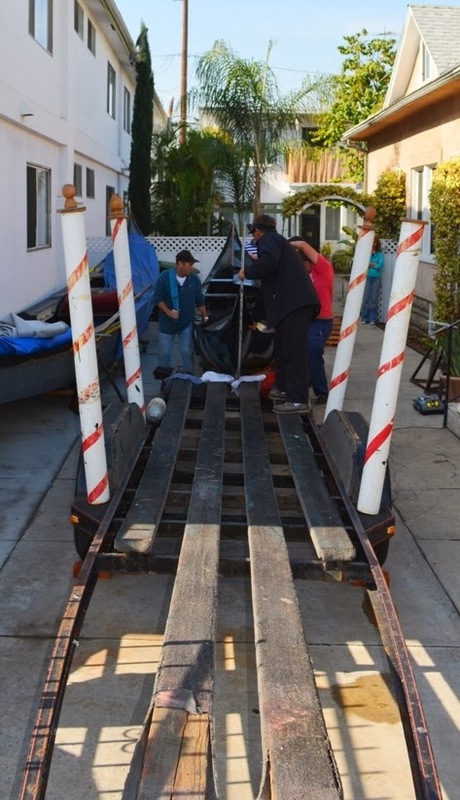 Then, on Saturday, January 11th it was time: time to load the boat on the trailer and bring her to her new home. This was a nice little gathering of gondola friends. and got busy loading her onto the trailer. We had many options at our disposal, but the Rugby Team approach made the most sense in this situation. gave us the ability to lift her with minimal rail-grabbing. To aid in the forward movement, inflatable fenders served as rollers. 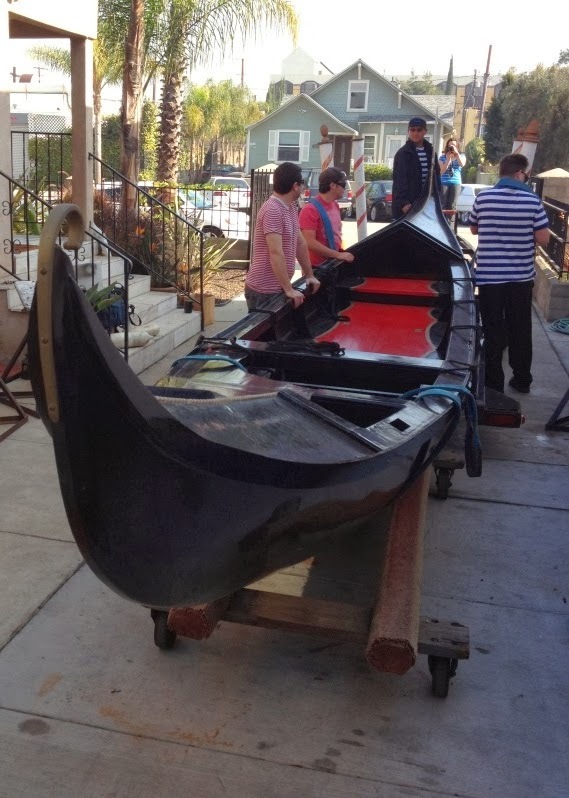 The saying "many hands make light work" certainly applies to gondola moving. 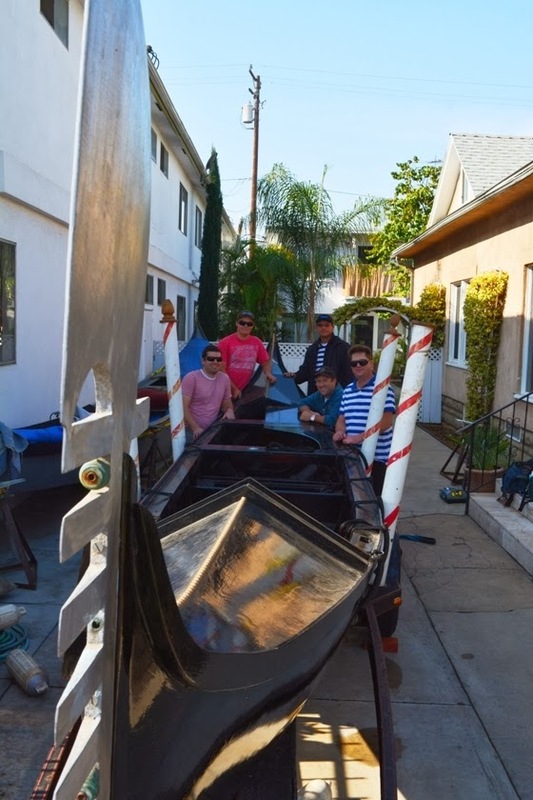 Gondola on trailer, no damage done, no fingers broken, and everybody smiling. making our way to Channel Islands Harbor in Oxnard, California.